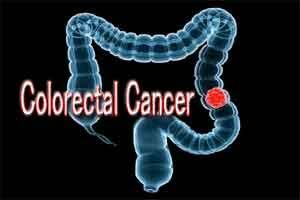 London: Within 10 years of the start of a screening programme for the early detection of colorectal cancer in Germany, the number of new cases has significantly dropped, especially in the age groups of 55 years and above, new research has found. After decades of increase, the introduction of screening colonoscopy in Germany, age-adjusted colorectal cancer incidence declined by 13.8 percent in men and 14.3 percent in women, while colorectal cancer mortality dropped by 20.8 percent in men and 26.5 percent in women, the findings showed. This sharp decline in incidence was selectively observed in the age groups 55 years and over, said the study by Hermann Brenner from German Cancer Research Center, and co-authors. Colorectal cancer is the third most common cancer in the world, with nearly 1.4 million new cases diagnosed in 2012, according to London-based World Cancer Research Fund International. Screening colonoscopy from age 55 years was added to the German national statutory cancer screening programme in October 2002. Thanks to its ability to detect precursors of colorectal cancer, such as colorectal adenoma, this method has the potential to not only reduce mortality but also the incidence of colorectal cancer, the study said. The findings appeared in the journal Deutsches Ärzteblatt International. Based on data from the German epidemiological cancer registries and the cause-of-death statistics, the researchers reviewed the development of colorectal cancer incidence and mortality rates between 2003 and 2012. During this period, about 20 to 30 percent of eligible persons participated in the screening colonoscopy programme. The authors expect that this downward trend in colorectal cancer incidence and mortality will continue and even accelerate in the years ahead.